Check out this discussion Dan’s hosting at the International Spy Museum in DC, where he’ll be speaking with two trailblazing female CIA analysts about women’s struggle to break into field work with the Agency during the Cold War. WERTHEIMER: But one of the things you make clear in the book is that there’s really no such thing as a safe house, especially for a woman. FESPERMAN: True – very vulnerable. And if you think of women as being particularly vulnerable now, sort of in the wake of the #MeToo movement, then even more so. And there was very little recourse if something happened to you. If you were trying to get relief for that inside a big patriarchal agency, like the CIA. So tough times as Helen, who is our main character, in those days finds out. 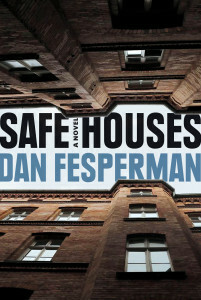 Take a SAFE HOUSES-inspired tour of Berlin! It’s not enough to fight the same battles as before – the old, gray rivalry of Us vs. Them, East vs. West. We must find something new to say, or at least offer a fresh point of view. Here’s some social media coverage of Dan’s signings at Murder by the Book (1, 2) and The Poisoned Pen (1). I’m trying something that I haven’t done since my first two books, which featured the same main character. I’m reactivating Claire Saylor from Paris station to be the lead in the next one, which will be set in Hamburg in 1999, two decades after we first met her in Safe Houses. She’s great company, so I hope she’ll be around for a few more books. Cold War Berlin was the archetypal spy battleground, a divided city, with the Wall and its watchtowers as a bleak centerpiece…People today often forget that West Berlin was so isolated from the rest of the free world, an island embedded more than a hundred miles deep inside Soviet-dominated East Germany. Throw in East Germany’s Stasi, with its smothering surveillance culture, and you’ve got a setting with built-in duplicity and mistrust, a place where small mistakes often have big consequences. For a spy novelist, what’s not to like? This entry was posted on Wednesday, July 25th, 2018 at 11:05 am and is filed under Uncategorized.